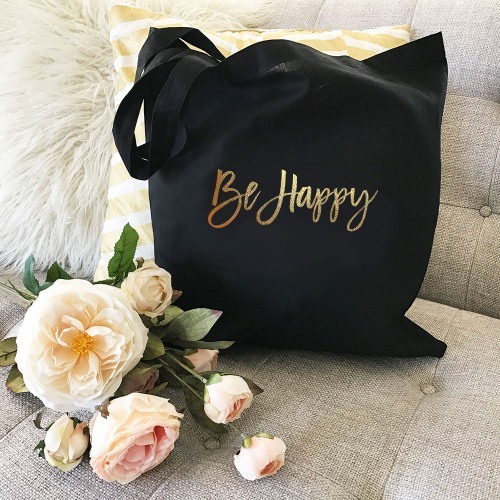 No matter her style, each of your bridesmaids is sure to love these pretty custom canvas tote bags. Available in black or white, customize these bags with her name or short quote. Black bags feature metallic gold foil print on one side, natural bags feature black print on one side.